Starbucks – espresso – reaction – gives special magical powers. She solves problems of customers. But what gives HER the special powers? Something she adds to the espresso in the right combination? She finds a bag of beans buried in the back room – that says DO NOT TOUCH or DO NOT USE. Maybe she eats a coffee bean and when she does she’s magically transformed into Super Barista. What problems can she solve? She can help her other barista co-workers as well as customers. Lots of short stories here. Maybe she creates connections for people w/problems who can solve them. Or does she solve them herself? Is she the conduit/catalyst? She finds struggling people and finds a way to help them. She becomes other worldly temporarily. Solves crimes? Brings criminals to justice? Must be a downside for her. After effect is either detrimental to her physically or emotionally. Maybe she disconnects from her “real” life and becomes more and more involved in other world. Why doesn’t she stop? Because she’s addicted. Maybe a weekly or monthly addiction? What happens if she doesn’t get her fix? This is how the book that became The Forbidden Bean began. It took almost four years, feedback, rejection and criticism from fellow authors, agents and editors before I said, “Screw it!” and published it myself. I now have pages and pages of notes and ideas for subsequent books in the series I call Grinding Reality. (Tee is assistant manager of a coffee store. Thus the series title.) I am working on the second book in the series which might be entitled Cool Beans. 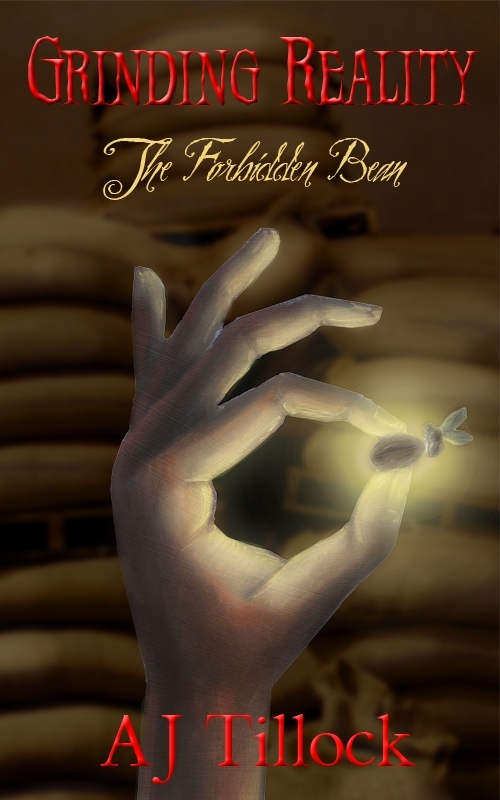 There’s a preview of it at the end of The Forbidden Bean.Looking for something different to read? Here it is. addiction, aj tillock, barbara meyers, fiction, ideas, the forbidden bean, writing. Bookmark.